Transfer ownership of a Maryland real estate property with this Special Warranty Deed form. Under a Special Warranty Deed, the seller (grantor) warrants or guarantees the title only against defects arising during his/her ownership of the property, but not against any title defects that existed prior to that time. 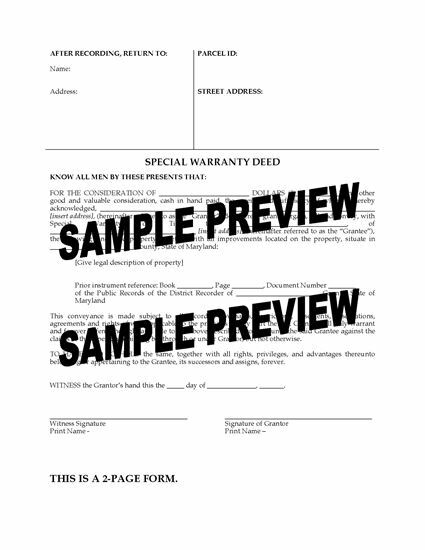 This Maryland Special Warranty Deed form is available as a downloadable MS Word document, and is easy to fill in with the details of your transaction.